Aretha Louise Franklin was the American singer performing rhythm-and-blues, soul, and gospel songs. 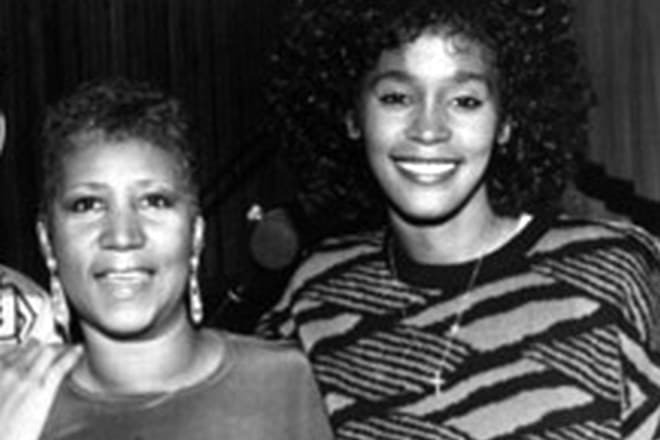 She was called “The Queen of Soul” and “Lady Soul” for her powerful, flexible vocal. 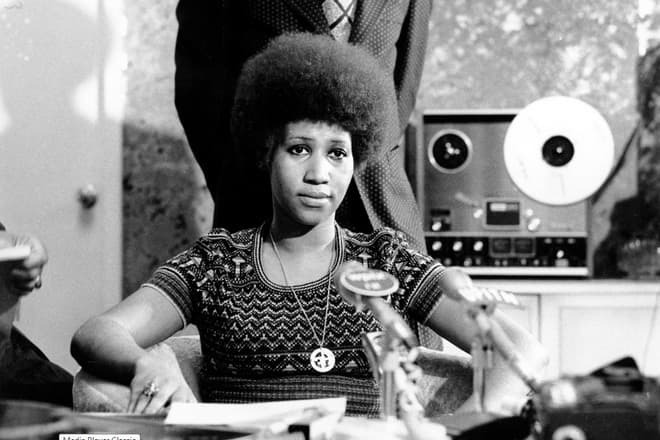 Franklin was no less popular than Freddie Mercury or Whitney Houston: in 1987, she became the first woman whose name was included in the Rock and Roll Hall of Fame. In 2008, Rolling Stone named her the greatest singer in the history. Aretha Franklin was born on March 25, 1942, in Memphis, Tennessee, into the family of a priest and a nurse. Her father Clarence was an excellent speaker, and the mother Barbara was a loving and kind woman; however, their relationship was tense. Aretha’s parents were constantly arguing and divorced when their daughter was six. At that time, the family lived in Detroit, Michigan. Barbara did not want to stay in the town she did not like and left two daughters and three sons with her ex-husband; she went to New York. At ten, the girl showed her singing talent, and the father took her to the church’s choir. The child’s innocent voice drew many people from the whole town. As the master of speaking, Clarence preached sincerely, but Aretha was, nevertheless, the pearl of The Bethel Baptist Church. In 1956, 14-year-old Franklin performed the prayer “Precious God” in front of 4500 people. The producer of JVB Records was impressed with the gospel and gave the girl the chance to record her debuting album Songs of Faith. The album was recorded when the church choir was performing; there were nine songs there. Later, the album was re-released many times. The young woman’s career should have started developing, but she got pregnant soon. By 17, she had two sons and was expecting the third one. In 1959, Franklin decided she would not change her talent for the life of a single mother. She left the kids with her father and left for New York. 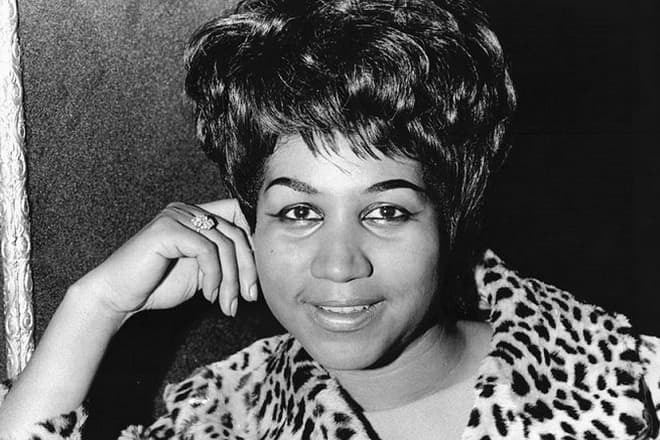 In Big Apple, Aretha Franklin began to work hard immediately and sent the demo version of The Gospel Soul of Aretha Franklin (the studio re-release of Songs of Faith) to several companies. All companies were excited to hear such a powerful voice, but only three gave the singer their offers. Aretha chose Columbia Records where John Hammond worked; the producer introduced Bob Dylan, Bruce Springsteen, Billie Holiday, and other singers to the world. In the course of time, it was evident the choice was not good: although Columbia Records won the right to promote the young singer, the company did not know who to handle her talent in a proper way. Instead of giving the girl the opportunity to choose the music style, the producers appointed her a pop singer. As a result, critics called the first ten albums recorded in 1960-1966 dry and marked her songs as painstakingly crafted. 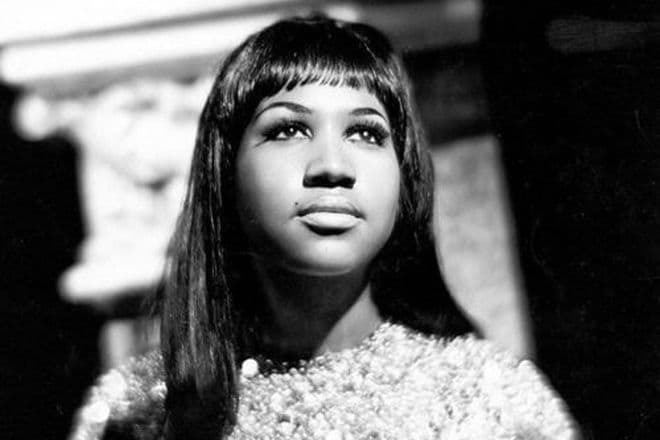 Aretha’s works were noticed in charts, but the number of sales was small. In 1966, the contract with Columbia Records expired, and the producer of Atlantic Records Jerry Wexler enticed the singer to his company. Thanks to his insight, Aretha came back to soul. Wexler had high expectations for the young star and planned to record several blues albums in Music Emporium. Aretha’s saturated vocal should have been combined with Eric Clapton’s, Duane Allman’s, and Cissy Houston’s music. However, the life was different. 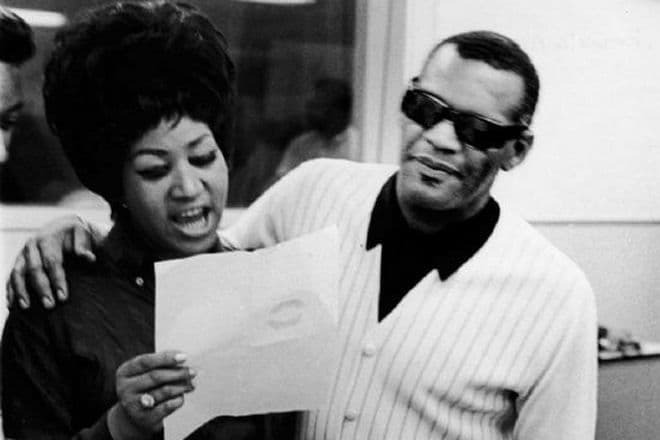 When a studio session was in progress, Franklin’s then husband and manager Ted White had a drunken fight with one of the musicians. As a result, Wexler had to break off the collaboration with the singer. The song “I Never Loved a Man (the Way I Love You)” was the only finished track. To Aretha’s surprise, it became a hit. This encouraged the young woman to finish the album in 1967. The work took the second position of the national chart and topped the best “black” albums list. It was the breakthrough of the Queen of Soul. In 1966-1970, the singer had ten albums including Lady Soul (1968) released. In 2003, Lady Soul was put to the 84th position in the Rolling Stone's 500 Greatest Albums of All Time. The song “Respect” became one of the brightest hits; Otis Redding performed it first. It became the unofficial feminist hymn, and Aretha turned into the face of black women. Moreover, “Respect” brought Franklin the first prizes: the Grammy Best Rhythm & Blues Recording and Best Vocal Performance, Female. After the wave of success, the decline followed. In the 1970s, Aretha Franklin rarely appeared in charts. In 1984, her father died, and the divorce proceedings with the second husband Glynn Turman finished. The woman was desperate. The Blues Brothers became the way out. The movie tells the story of the men who revive the old blues group to earn money and save the orphanage where they were brought up. Ray Charles, James Brown, and other musicians collaborated with Aretha Franklin. The singer proved to be a good actress. In 1998, she starred in the sequel Blues Brothers 2000. In the course of time, Aretha Franklin lost interest to solo albums and engaged herself in duos. For instance, the song “I Knew You Were Waiting” was recorded with George Michael in 1986; the hit topped Billboard Hot 100. Later, the songs with Christina Aguilera, Gloria Estefan, Mariah Carey, Frank Sinatra, and other musicians followed. Aretha continued to give concerts, and her concert recordings were used as music videos. Aretha’s personal life was intense; the woman was married twice. In 1961, 19-year-old Franklin married Ted White; the couple lived together for eight years. Later, the singer married to Glynn Turman, but they split up in 1984. Before her 70th birthday, the singer was going to marry for the third time but changed her mind and canceled the wedding a month before the event. Franklin had four children. At 14, she had two sons, Clarence and Edward, in 1964, she gave birth to Ted White Jr. The last child, Kecalf, was born in 1970; the manager Ken Cunningham was his father. In 2010, Aretha Franklin was diagnosed with cancer; still, the singer continued to give concerts. In 2017, she sang her hits for the last time: it was the concert for the Elton John AIDS Foundation. 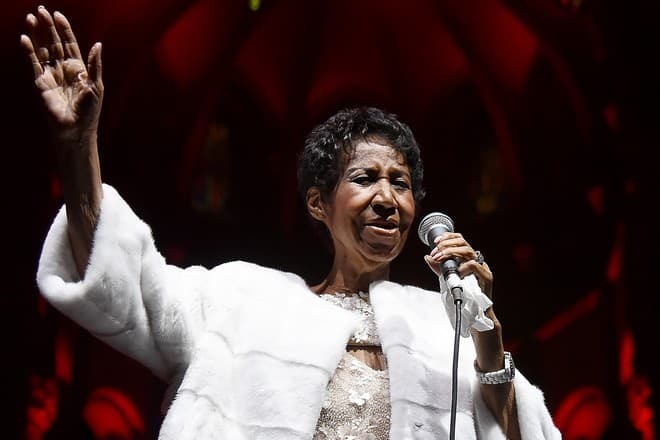 At the same, the photos of thin Aretha appeared on the Internet: the woman lost 39 kg. She was seriously ill and had already said goodbye to her nearest and dearest. Doctors predicted the woman would die soon. The singer’s family asked to pray for her, but the disease turned out to be stronger. Aretha Franklin died on August 16, 2018. She was 76 years old.